Our world is fractured on every level—from the family to international relations. The news constantly reports broken relationships, strife-ridden communities and warring nations. So what hope is there for a world of fractured relationships? Discover the Bible's surprising answer: the local church. 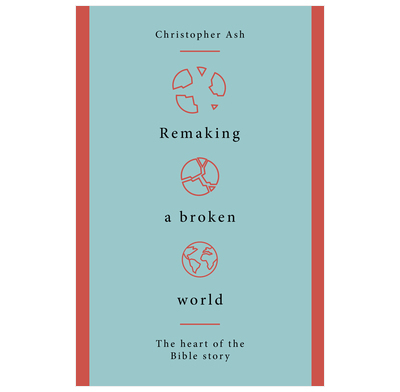 This revised and updated edition of Christopher Ash's Bible overview takes readers through the big sweep of Scripture, following the theme of scattering and gathering God's people. It shows how the local church is at the heart of the Bible story and at the center of God's plan for remaking a broken world. This book will refresh your love for the local church, and give you new hope for the hurting world around you. Christopher Ash has provided us with a readable, compelling, and important Bible overview. It will be a eseful and excellent resource for Bible study groups, sermon series, seminars and much else. Christopher's approach is refreshingly creative, thoroughly biblical and obviously relevant to our lives and ministries.